In Australia, it's not just what you do for a living that matters, but who you work for, according to LinkedIn's latest list of the country's top employers. This year, the country recorded one of the most diverse lists of high-rated employers, with law firms, retailers, management consultancies, internet businesses and banks all ranking among Australia's top 25 companies to work for in 2019. Meanwhile, countries like China and India saw a predominance of tech companies. To be eligible, companies must have had at least 500 employees as of Feb 1. 2018 and demonstrate flat or positive employee growth over the following 12 months, based on LinkedIn's data. The annual list forms part of LinkedIn's wider analysis of its more than 610 million users. Those findings have been used to determine the top companies to work for across Australia, Brazil, Canada, China, France, Germany, India, Japan, Mexico, the U.K. and the U.S.
LinkedIn and its parent company, Microsoft, were excluded from the research for fairness. So were all non-profits, staffing and recruiting firms, as well as educational and governmental institutions. Moving up the ranks to join the list of Australia's top 10 companies this year is Jeff Bezos' e-commerce behemoth Amazon. As with its other offices globally, the Sydney hub is driven by Amazon's four principles: customer obsession, passion for invention, commitment to operational excellence, and long-term thinking. Cloud-based software company Salesforce has offices across three major Australian cities — Canberra, Melbourne and Sydney — from where it employs staff across all of its business functions, from sales and customer service to finance, legal and HR. Deloitte Australia is part of the global management consultancy firm Deloitte and one of the world's so-called Big Four accountancy firms. With approximately 6,000 staff across the country, the company's vision is to be "the most inspiring firm to work with — for its people, its clients and its communities," according to its LinkedIn page. The company has a heavy focus on innovative human resources programs. With a history dating back more than 120 years, civil engineering business CIMIC is something of an institution in Australia. With a head office in Sydney, the company also has operations in Brisbane and Perth, as well as global subsidiaries in Asia and Africa. That means its employees often have the opportunity to work on projects overseas. LinkedIn's top employer in Australia for two years running, professional services firm PwC Australia, dropped down the ranking this year but retained a solid sixth position. Recognized for offering flexible working and generous parental leave to its more than 8,000 national employees, the company also says it puts a strong emphasis on diversity and inclusion. Australian construction company Lendlease is headquartered in Sydney, but has offices in seven other major cities in the country. The firm also supports projects globally, which means its newly expanding workforce can expect to be involved in exciting projects spanning Asia, the Americas and Europe. Ranked second in LinkedIn's 2018 list, Australia's multinational Commonwealth Bank has received particular plaudit for its efforts to achieve gender equality. At latest count, women made up almost 58 percent of the workforce, with 44 percent at manager level and above. Pedestrians walk past a Commonwealth Bank of Australia branch in Sydney, Australia, on Wednesday, Feb. 6, 2019. Australia and New Zealand Bank, or ANZ, is Australia's third largest bank by market capitalization (after Commonwealth Bank and Westpac) and New Zealand's largest. The company employs more than 50,000 staff across its headquarters in Melbourne and internationally. 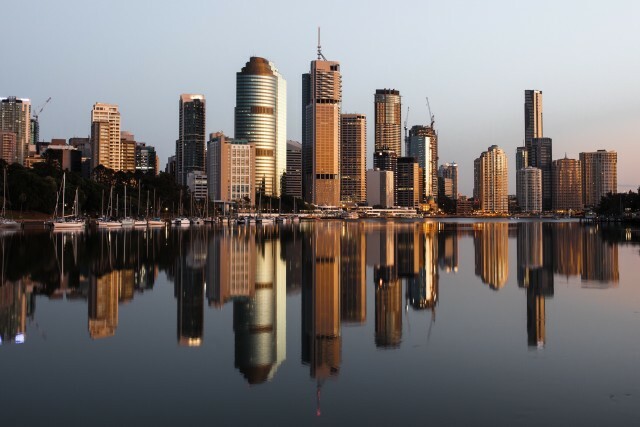 Melbourne-headquartered National Australia Bank has been streamlining its employee headcount over recent years but also supplementing that with a total of 2,000 new tech hires. The bank, which employs around 30,000 people, seeks to reward staff with access to volunteering and financial well-being schemes. Australia's oldest company and first bank Westpac Group jumped up four places this year to be ranked the country's top employer 2019. The 202-year-old business was recognized this year, in part, for its success in reaching gender parity and its efforts to support indigenous Australian communities. Westpac bank branch entry on Market street, Sydney, Australia. * Interest in the company is measured by unique, non-employee views and follows of the company's LinkedIn page. Employee engagement looks at how many non-employees are viewing unique employees at the company. Job demand counts the rate at which people are viewing and applying to jobs at the company, including both paid and unpaid job postings on LinkedIn. Employee retention measures how many employees are still at the company at least one year after their date of hire, based on LinkedIn member profiles.